All I can write about this fossil is... SWEET! Okay, I will embellish it a little more. 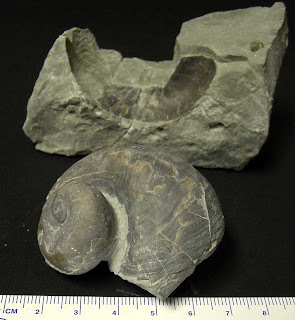 This snail fossil is interesting in that it has the matrix negative it can be removed from. Fossil is the Playstoma niagarensis found in the Waldron Shale of Clark County, Indiana. 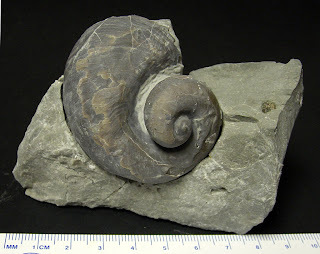 This is a fairly large fossil for this locale measuring about 5.3 cm in diameter. Near the inner whirl there might be remains of Cornulites attachments. Needs further analysis with a magnifier. Looking at other Waldron Shale fossils of this species, one sees worm tube attachments from time to time. 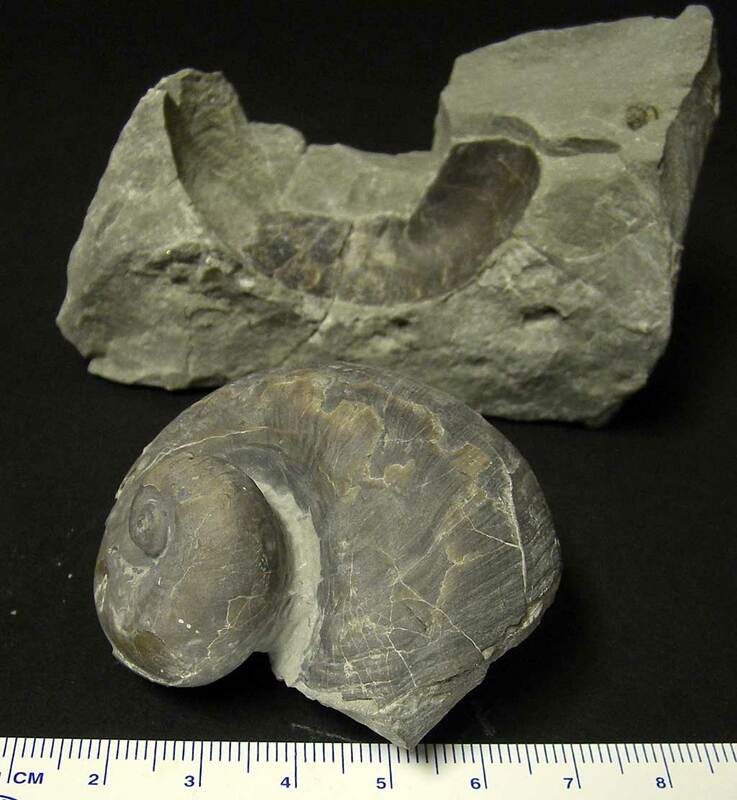 Kenny did the amazing prep work on this Silurian fossil using sand abrasive cleaning and the Air Scriber 8315B.